If you can’t wait for an official release of Pokémon Go in your region. Here a good news for you, the Pokémon Go game APK file for Android devices is available for download outside of the territories the game is available officially right now. Download the Pokémon Go game APK file from here (APK Mirror or APK Pure). Scroll down and select “Install” on the Pokémon Go file in the notification centre. Note: Before install it on smartphone go to Menu > Settings > Security > and check Unknown Sources to allow third-party apps install on smartphone. In case you have downloaded the file on your PC, connect smartphone to it and transfer the file to smartphone via USB. Tap on Pokémon GO APK file and then hit install Pokémon GO. 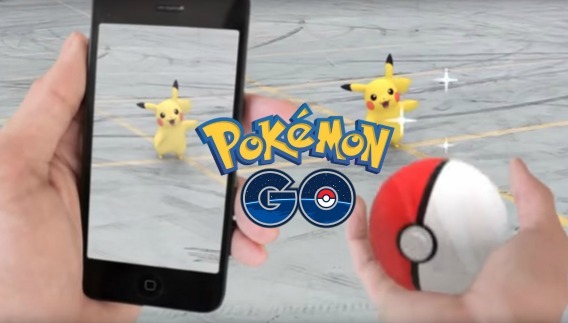 Now you’re done, just launch the Pokémon GO to make sure it works properly. If it doesn’t, repeat the process with a different APK file. Change your region to U.S., Australia, UK, or New Zealand by going to Settings > General > Language and Region. Create a new Apple ID for the region that you’ve selected, by going to appleid.apple.com/account. Once enter your details, hit “Continue” and follow the steps to verify the account. After the account verification, go to the App Store on your iOS device, scroll down and select “Sign in”. The device will ask to review the new account and suggest you add card details, but you can select “None”. Once the previous step is completed you can search for Pokémon Go in the App Store and download it.